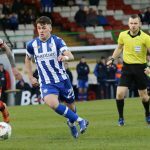 The talented 19-year-old made 10 appearances for the Bannsiders in all competitions last season, netting three goals in the process after arriving from Newbuildings United. The Northern Ireland youth international has joined Peter Allen’s side ahead of the new Championship campaign as the Castlederg outfit face Dundela tomorrow afternoon. 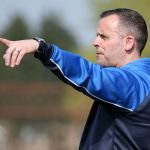 Bannsiders boss Oran Kearney believes the short-term switch will help aid Kirk’s development moving forward. “The move is about getting Matthew game time and minutes in a competitive league,” he said. “We know the qualities that he has, but he needs to be playing regular football and I’m sure he will get that at Dergview. 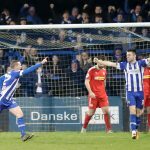 Everyone at Coleraine FC wishes Matthew the best of luck in his loan move at Dergview.